John Barnett (left) and Winnie Holland uncover the plaque Wednesday dedicating Rome’s Clock Tower Pollinator Garden, which is now part of the Rosalynn Carter Butterfly Trail. Romans celebrated the beauty of a reinvigorated Clock Tower Garden on Wednesday, dedicating the two-year project of the Seven Hills Garden Club and Federated Garden Clubs of Rome. A pollinator buzzes a bush at the Clock Tower Garden during ceremonies to rededicate the garden after a two-year project of the Seven Hills Garden Club and Rome Federated Garden Clubs. Flowers in the Clock Tower Garden which was dedicated during ceremonies Wednesday. 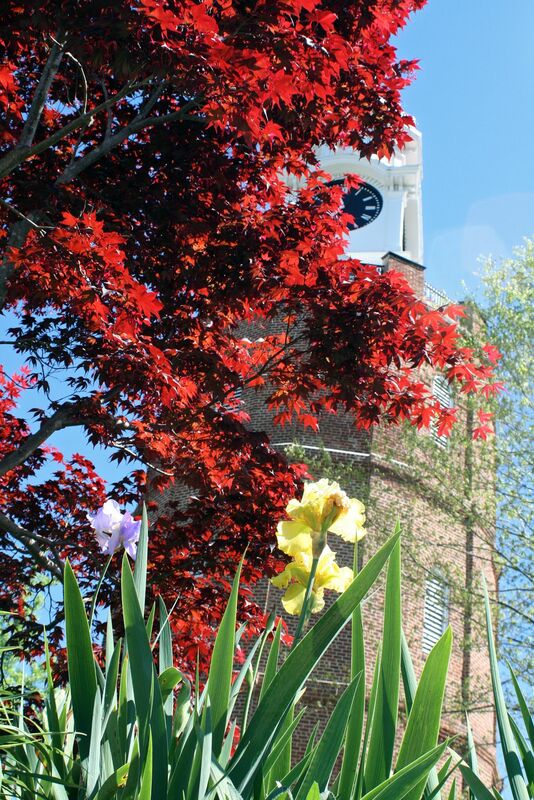 Members of the Seven Hills Garden Club and Federated Garden Clubs of Rome dedicated a completely reconstructed Clock Tower Garden on Wednesday. The new Clock Tower Garden was formally dedicated as part of the Rosalynn Carter Butterfly Trail on Wednesday. Representatives from the Sarah Hightower Regional Library and Rome Federated Garden Clubs received books about the Rosalynn Carter Butterfly Trail during ceremonies to rededicate the Clock Tower Garden, a part of the trail, Wednesday. Sheelah Schreiber (from left) presented the books to Ruth Forrester and Winnie Holland. Rome's iconic Clock Tower in Bailey Park. Some of the beautiful color in the Clock Tower Garden which was dedicated Wednesday. Flowers in the garden at the base of Rome's iconic Clock Tower.